My mother was a big baker when I was a kid. She is German and I think Germans are born with the incredible ability to bake running through their veins. One of my favourite treats she would make almost on a weekly basis was coconut macaroons, rich chocolate macaroons. Excuse me while I wipe up my drool….. I wanted to make a cookie for my family other than chocolate chip. Don’t get me wrong, who doesn’t like chocolate chip cookies but a girl needs variety and I wanted a little reminder of my childhood. 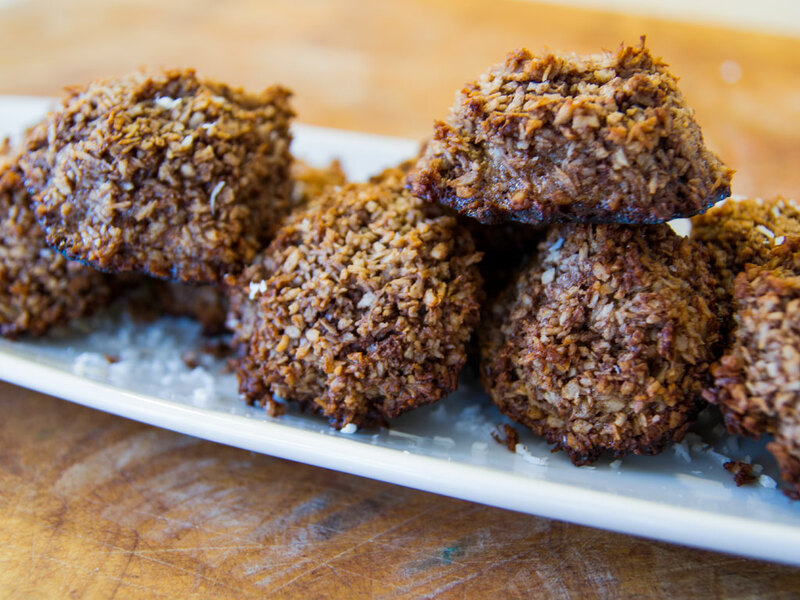 These cookies are low in carbs, fat and have the added bonus of all the health benefits that coconut has to offer. Improves heart health by providing healthy short chain and medium chain fatty acids (MCFA) that are essential to good health. High in dietary fiber rivaling other fiber sources such as psyllium, wheat bran, oat bran, and rice bran. Reduces sweet cravings and improves insulin secretion and utilization of blood glucose. Improves digestion and many of the symptoms and inflammatory conditions associated with digestive and bowel disorders, by supporting absorption of other nutrients including vitamins, minerals, and amino acids while also providing beneficial dietary fiber. In addition, coconut contains no trans-fats, is gluten-free, non-toxic and also contains antibacterial, antiviral, antifungal, and anti-parasitic healing properties. Coconut helps to aid and support overall Immune system functions. There are 3.8g net carbs, 1.3g protein and 2 Weight Watchers points per cookie. 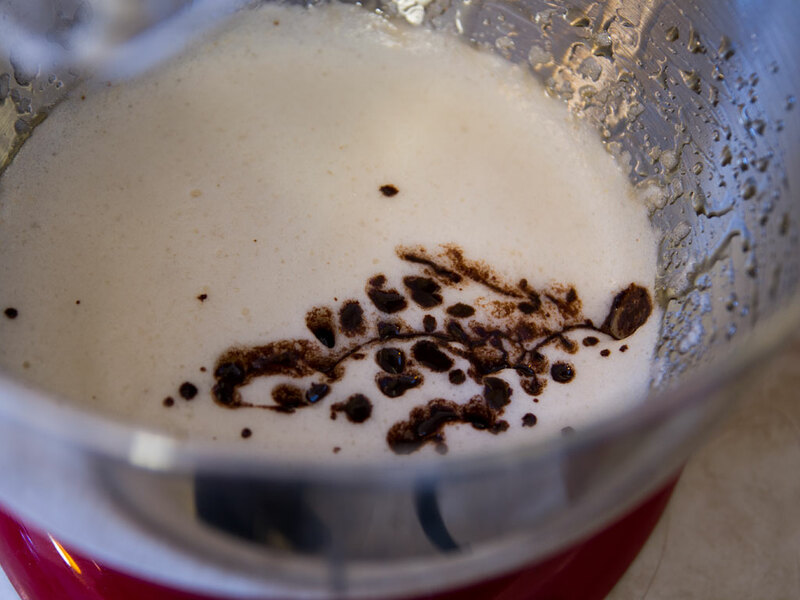 Whisk egg whites until they form loose peaks. Melt coconut oil, butter and mix in cocoa powder. Whisk in agave, vanilla and salt until evenly incorporated. Gently fold in cocoa mixture and egg whites. Fold in the shredded coconut but do not overmix. On a parchment lined cookie sheet, spoon mixture into even mounds, roughly 2 inches in diameter. Bake in preheated oven for 15 minutes or until the edges start to brown. Once the edges are light brown, remove and cool on a wire rack. Thanks, these were really good. I used 2 Tbsp of stevia powder instead of agave. The recipe gave 10 normal sized cookies, which were chewy, moist with a nice thin crust. I am so glad you liked these and thank you for sharing!